The "blue" handle means it's genuine Haglof! 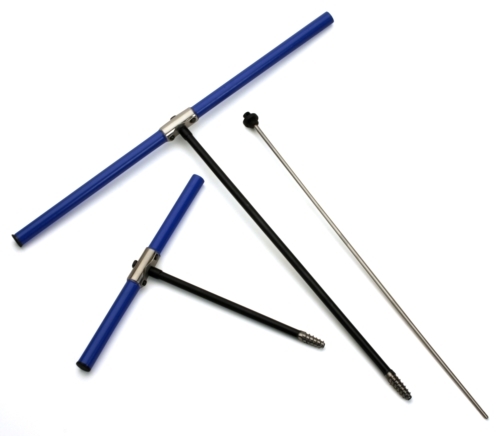 All Haglof increment borers are precision manufactured using high quality Swedish steel and treated with Teflon coating to protect against rust and resin build up to reduce friction. The solid borer bit with a barrel shaped tip ensures an easy start and removal. 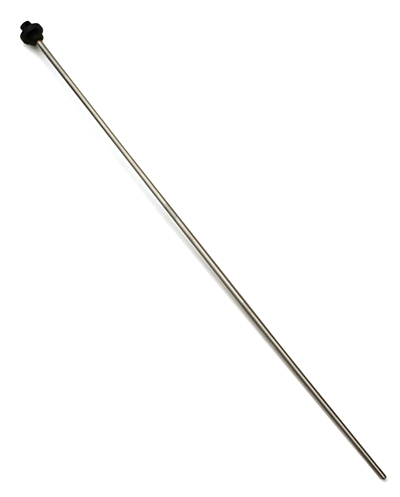 Haglof extractors are made of stainless steel and now have a solid metal threaded end. 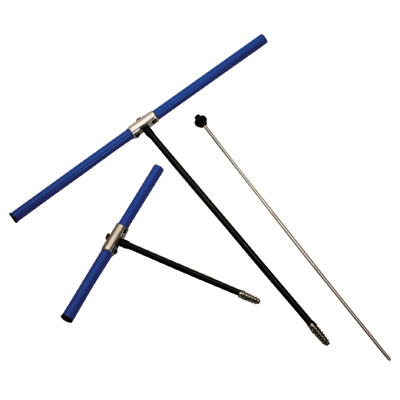 Here are some suggestions that come from working with increment borers for years. With gloves on, use a "golf tee" to knock out any piece of core stuck in the tip. We supply golf tees with every borer we sell. Never use a nail. When putting your bit back into the handle, never drop it in. Hold handle horizontal and gently slide the bit. Also, put a small piece of cardboard or cork at the bottom of the handle for extra bit protection and to take up any slack to prevent the bit from banging around inside the handle while in transit. At the end of the day, spray lubricant such as WD-40 inside and out of the bit to prevent corroding. Periodically use a rifle cleaning kit for a thorough cleaning.